Manchester United’s board have reportedly decided to hire Ole Gunnar Solskjaer permanently after his superb spell as interim manager at Old Trafford. The Norwegian has performed well beyond expectations with Man Utd so far, winning ten of his 11 games in charge of the club since replacing Jose Mourinho. 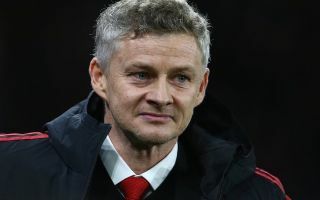 It now seems Solskjaer’s tremendous impact has made it impossible for United to make any other choice, despite so many big names being linked with the position in recent months. According to the Sun, Solskjaer is now set to get the nod, though an official announcement may not be made until the end of the season. This is exciting news for Red Devils fans, who will be thrilled to see a much-loved former player back at the club and getting the team playing its traditional attacking football once again. Ole Gunnar Solskjaer to get the Manchester United job permanently? This follows dire spells under Mourinho, Louis van Gaal and David Moyes, none of whom looked right for the job for a variety of reasons. Solskjaer, on the other hand, has embraced the romanticism of managing MUFC, showing he really buys into the values of the club, which has clearly rubbed off on the players.